The Rheinlaender! Smoky, German, YOUBITE original! 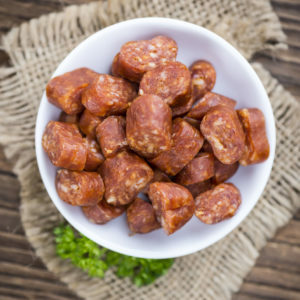 A delicious snack sausages that combines all the typical German flavors of the Rheinland in North Rhine Westphalia. 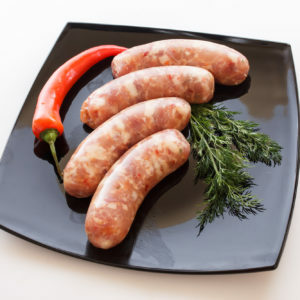 Carina came up with the recipe when we were looking for a sausage that resembles all the distinct flavors of the sausages back in our hometown. In conclusion this is a new yet perfectly balanced sausage. 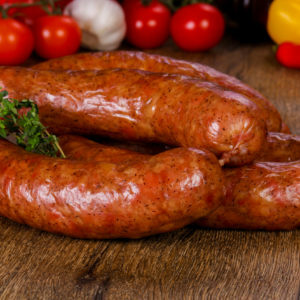 This sausage is already fully cooked, smoked and ready to eat. Thus making it a perfect snak for on-the-go. The Rheinlaender are perfect as an appetizer with cheese and some fruits. In contrast, try them with some sauerkraut. Warm up the Sauerkraut and the Rheinlaender in the same pot, while you are cooking the potatoes on the side. This is probably be the best yet easiest German treat you can grant yourself. It is one of our bestsellers. Eat it on Match day when you’re watching your favorite sports or fry it up on the Barbecue and serve it in a bun with some mustard. It’s great any way. 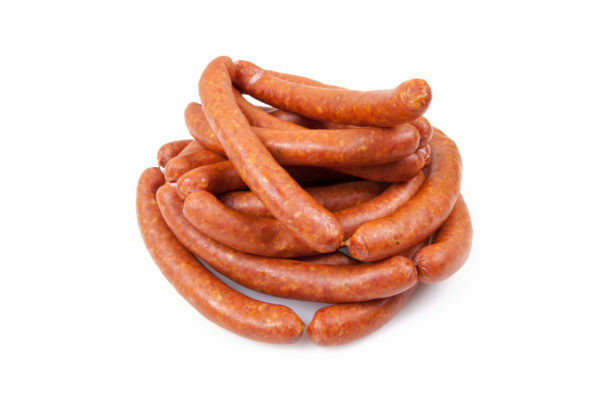 Come by the Farmers Market and try a sample of this delicious sausage. You will fall in love with it. 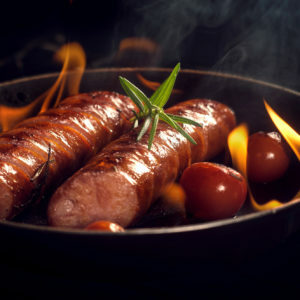 Combine it as an appetizer with our German Bratwurst as main dish. Perfect! Great for kid. Even better for adults. Just perfect for everybody!